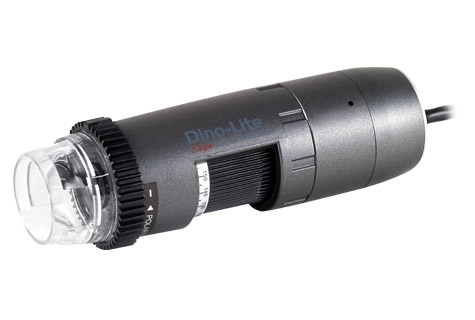 The Dino-Lite AM5212ZTL is one of the latest TV-interface microscopes that feature an adjustable polarizer to help suppress unwanted glare or reflections with long working distance (LWD) feature. This LWD model yields higher magnification and larger depth of field under the same working distance though the highest attainable magnification is smaller. 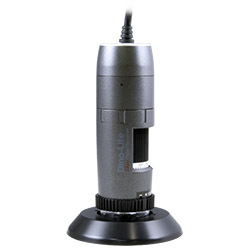 This feature provides greater clearance between the microscope and the viewing object, which can be helpful for applications such as repairing or assembling, quality inspection, or jewelry fabrication. The AM5212ZTL does not require a computer or bundled software to operate and works simply by connecting it to a conventional TV using the supplied composite video cable. It is available in either NTSC or PAL video standards depending on your region of residence.